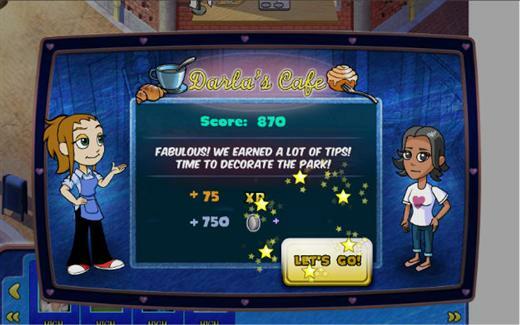 Help Flo, Diner Dash’s iconic heroine, grow her fledgling diner into a five-star restaurant in this fun, action-oriented and highly addictive game that is sure to bring out the entrepreneur in everyone! 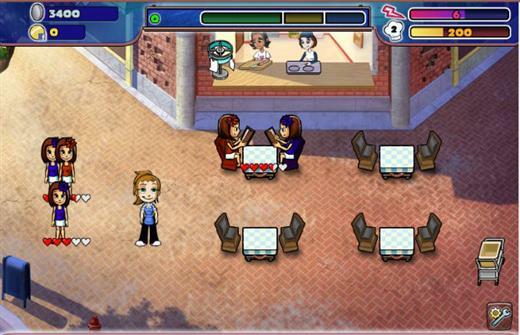 Seat, serve and turn tables in this game of skill, speed and savvy. Delight your eager customers by providing quick service to earn big tips. Soothe impatient guests with coffee before they get angry and skip out on the bill! One by one, the restaurants of DinerTown are shutting their doors! Their customers just don’t like coming to the neighborhood anymore. Only Flo’s and Darla’s are still open, but they’re hanging by a thread. How could this have happened? 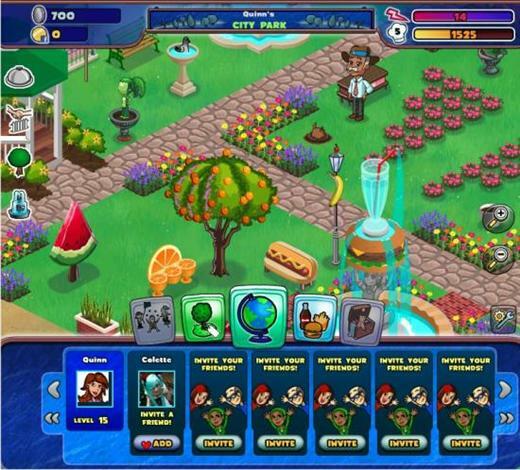 It all started when Mr. Big began using the neighborhood park as his dumping ground. All sorts of junk from his construction sites and factories—broken down bulldozers, cones, flat tires, sludge—littered the place. The more he dumped debris, the more he drove people away, until the park became practically abandoned. And so did the restaurants. Without the park, the restaurants of DinerTown can’t bring enough customers to stay in business. They also depended on the park for their own sanity… Flo and her fellow restaurant owners would go there to relax and recharge… without it, they’re getting completely burnt out. The solution is clear: the only way to bring back the restaurants is to bring back the park! Since Flo and Darla’s are still open, they agree to donate their tips to fix up the park. The better the park looks, the more customers they’ll attract!. Related Tags: action, simulation, time management.